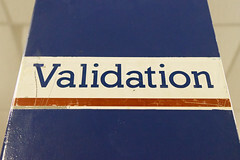 Marsha Linehan, Ph.D., from the treatment creator of Dialectical Behavior Therapy, identified six levels of validation and noted that she believes it is impossible to overestimate the importance of validation. If you care about someone who is emotionally sensitive, validation is one of the most important and effective skills you can learn. If you are an emotionally sensitive person, then learning to validate yourself will help you manage your emotions effectively. Linehan suggests using the highest level of validation that you can in any situation. The First Level is Being Present. There are so many ways to be present. Holding someone’s hand when they are having a painful medical treatment, listening with your whole mind and doing nothing but listening to a child describe their day in first grade, and going to a friend’s house at midnight to sit with her while she cries because a supposed friend told lies about her are all examples of being present. Multi-tasking while you listen to your teenager’s story about his soccer game is not being present. Being present means giving all your attention to the person you are validating. Being present for yourself means acknowledging your internal experience and sitting with it rather than “running away” from it, avoiding it, or pushing it away. Sitting with intense emotion is not easy. Even happiness or excitement can feel uncomfortable at times. Often one of the reasons other people are uncomfortable with intense emotion is that they don’t know what to say. Just being present, paying complete attention to the person in a nonjudgmental way, is often the answer. For yourself, being mindful of your own emotion is the first step to accepting your emotion. The Second Level is Accurate Reflection. Accurate reflection means you summarize what you have heard from someone else or summarize your own feelings. This type of validation can be done by others in an awkward, sing-songy, artificial way that is truly irritating or by yourself in a criticizing way. When done in an authentic manner, with the intent of truly understanding the experience and not judging it, accurate reflection is validating. Sometimes this type of validation helps the emotionally sensitive person sort through their thoughts and separate them from their emotions. “So basically I’m feeling pretty angry and hurt,” would be a self-reflection. “Sounds like you’re disappointed in yourself because you didn’t call him back,” could be accurate reflection by someone else. Level Three is Reading a Person’s Behavior and Guessing What They Might be Feeling or Thinking. People vary in their ability to know their own feelings. For example, some confuse anxiety and excitement and some confuse excitement and happiness. Some may not be clear about what they are feeling because they weren’t allowed to experience their feelings or learned to be afraid of their feelings. Often, emotionally sensitive people mask their feelings because they have learned that others don’t react well to their sensitivity. This masking can lead to not acknowledging their feelings even to themselves, which makes the emotions more difficult to manage. Being able to accurately label feelings is an important step to being able to regulate them. When someone is describing a situation, notice the emotional state. Then either label the emotions you hear or guess at what the person might be feeling. “I’m guessing you must have felt pretty hurt by her comment” is Level Three validation. Remember that you may guess wrong and the person could correct you. It’s her emotion, so she is the only one who knows how she feels. Self-validation would be understanding your own reactions in the context of your past experiences. Level Six is radical genuineness. Radical genuiness is when you understand the emotion someone is feeling on a very deep level. Maybe you have had a similar experience. Radical genuineness is sharing that experience as equals. Validation strengthens relationships and helps with managing emotions. By communicating acceptance, validation empowers your and others. For emotionally sensitive people, self-validation and validation by others helps them manage their emotions more effectively.